Diane Hoover is an experienced leadership development and life coach and the author of The Cardinal of Marmaduke Abbey, a story for young children to help them understand and cope with bullying and as a tool for educators, parents, student leaders and organizations to help them support kids dealing with bullying. Ms. Hoover is also the grandmother of two of our current students, Payton Rix ‘21 and Ainsley Rix ‘23. The story of The Cardinal of Marmaduke Abbey centres around Jay Cardinal, a cardinal that can also take human form. (Jay Cardinal was based on a real cardinal that woke Ms. Hoover at 5:30 am every day for two months. ), He appears to Faith and Sadie (inspired by Ms. Hoover’s two granddaughters) in their dreams to shed light on how important diversity, uniqueness, and inclusion are; how to help people to understand and accept themselves; and how to help people accept others, even when they don’t understand them. 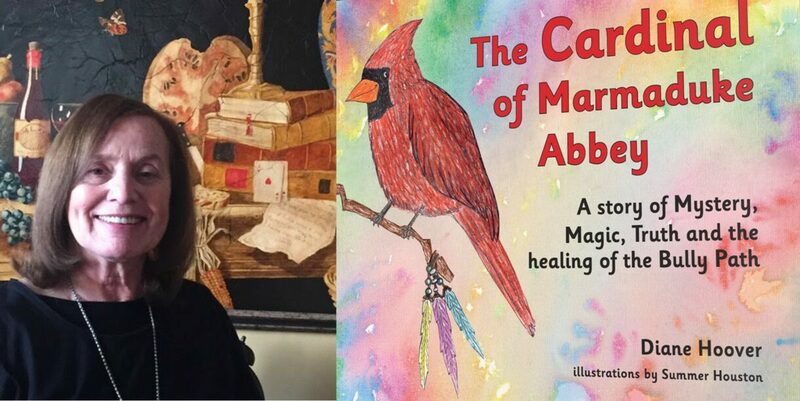 The Cardinal of Marmaduke Abbey, is available at Another Story Bookshop, 315 Roncesvalles Ave., Toronto; Glad Day Bookshop, 499 Church St., Toronto; or reach out to the author at hoover@istar.ca.